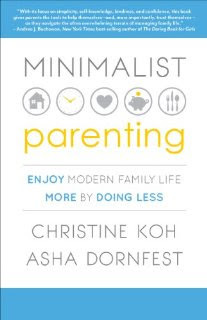 The two women are the authors of a forthcoming book Minimalist Parenting, in which they set forth a set of ideas on how to enjoy family life more by doing less. Mincamp starts off the book with a two week online "camp" where they give you 14 daily exercises, ideas, and tips to jumpstart your way into focusing on YOUR family's values, decluttering your schedule, and making sure that you and your kids are not over programmed or over-stimulated. As an example, the first day (today) asks you to make a More or Less list. You divide a blank piece of paper in two columns, More or Less. In 15 minutes or more, you write what you want More of in your life on one side, and Less on the other. From there-- well you get the idea. I expect MinCamp will have a number of other similar ideas and exercises for you to play along with at home. I'm planning on participating. Are you? Christine Koh is a former brain scientist turned mompreneur. 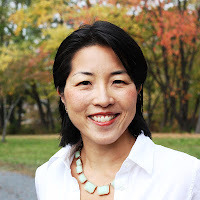 Christine is the founder and editor of Boston Mamas, a lifestyle portal for families in Boston and beyond, and created the graphic design firm Posh Peacock. Christine also is partner and digital strategist at Women Online (and is a co-founder of sister brands The Mission List and Pivot Boston), a freelance writer and editor, writes the column Minimalist Mama, and pens a personal blog – Pop Discourse – where she gives voice to her fascination with pop culture, the intellectually interesting or absurd, Boston life, and parenthood. She also recently co-relaunched Eat. Blog. Run., a hub for online and in person inspiration for runners. 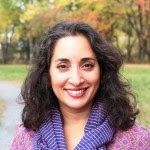 Asha Dornfest lives in Portland, Oregon and is the founder and editor of Parent Hacks, a community-driven website that publishes tips, recommendations, workarounds, and practical wisdom about everyday parenting quandaries. She also writes The Accidental Expert at Babble.com, and was one of the original panelists in the popular video series Momversation.